Serendipity is a wonderful thing. A few posts ago, when I was writing about one of my favourite films, my ageing memory let me down yet again and I had to go online to remind myself of the names of the cinemas of my childhood. 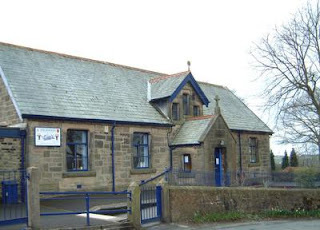 As I googled my home-town and the links came up, I was immediately distracted by a reference to the town’s swimming-baths and the memories came flooding back. Sadly, the link led to a newspaper account of the almost complete demolition of the building I knew so well, to make way for the construction of a multi-million pound leisure centre which opened 2 years ago. Only the central part of the façade, with its pillars and steps, was retained to provide a link with the past. The baths which formed an unforgettable part of my childhood and teenage years were built in the early 1930s, at the height of the Depression, with the majority of manual labour carried out as part of an unemployment scheme, financially assisted by the government (present-day governments take note?) The style was definitely influenced by Art Deco and the building was among the most noteworthy in our small industrial town. 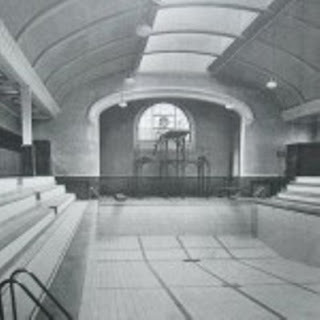 The baths were opened in 1933 by the future King George VI and were intended to be used as swimming facilities in the summer months, and as an assembly and dance hall throughout the winter. 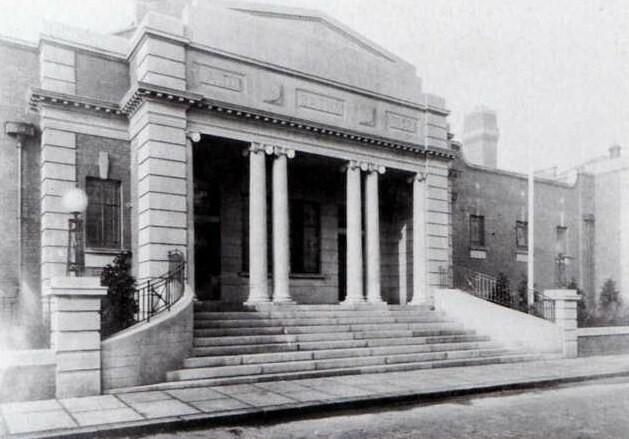 By the end of the 1960s life and leisure had changed so much that the dance-hall became financially unviable and after that the baths offered year-round swimming. But I’m getting ahead of myself, and the memories that really stick in my mind are of swimming there and, above all, of the weekly trips to the baths from my village primary school each summer term for those all-important swimming lessons. My primary school was a small, two-teacher, Church of England school with about 50 pupils. Only the juniors in the ‘Big Class’ were eligible to go swimming, the infants in the ‘Little Class’ being considered too young. My memory isn’t at its clearest at this point, but I think Wednesday was our swimming afternoon, and as soon as lunch was over we got ready to catch the bus into town, accompanied by our teacher. Primary school children always used the small pool or ‘plunge’ (I’m not sure I’d even heard the use of the word pool for swimming back then) and we only graduated to the big plunge when we went to senior school and could more or less swim. I freely admit to not having enjoyed the swimming lessons very much, mainly because I’m so short-sighted that without my glasses I couldn’t recognise the children in the pool with me, let alone see the teacher properly. There is something more than a little disconcerting in trying to learn something when the world around you is a blur and when you only get to practice during one term out of three. However I persevered, and though I’m still a poor swimmer, I did manage to swim my ‘breadth’ and get the first certificate and was making good progress towards swimming my ‘length’ by the time I left for senior school in 1957. The part of the afternoon I remember with most pleasure was after we had dried and dressed ourselves and were waiting for the bus home. 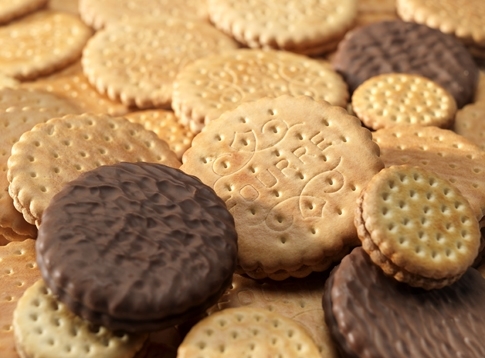 We always had at least a quarter of an hour to wait for the bus and so our teacher would take us into the market hall next to the bus station and let us buy broken biscuits at the grocery stall there. Some years later, in the early 1960s, I found myself behind that same grocery counter, weighing out the loose foodstuffs as I earned extra pocket money by working at a Saturday job. By then I could swim as well as I was ever going to and even enjoyed going swimming out of school, though my surrounding were still a blur. Most of you reading this have probably noticed that Blogger has recently changed its word verification method. Until this change, if word verification was switched on, people wishing to leave a comment on a blog post had to copy a nonsense word into a box before publishing their comment. This is to prevent automatic spam and deter human spammers, which is definitely A Good Thing. Now word verification presents us with two oddly distorted words to copy, so oddly distorted that many people, including me, have great difficulty deciphering them. Thankfully Blogger has removed the contrast bit behind one of the words, making them slightly easier to read, but I still often find myself having to click at least 2 or 3 times before I get a couple of words I can read well enough to type. Interestingly, the new system has a very laudable aim besides that of preventing spam. The words presented to us come from books and newspapers which are being scanned to digitise them and thus make them available online. Many of these are old and have non-standard typefaces and the digitisation process has problems verifying whether individual words have been correctly scanned. By using these scanned images for word verification in blogs, the reCAPTCHA system makes use of millions of blogs to help verify these dubious spellings and move the project forward. 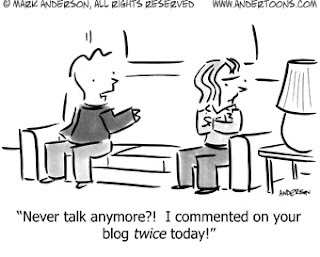 Unfortunately, for many people the sheer difficulty of deciphering the words is beginning to deter them from commenting on blogs, thus adversely affecting one of the most popular aspects of blogging. The Blogger Help forum is full of posts complaining about the new system and asking how to turn it off. This is where my word of warning comes in. For those still using the old Blogger dashboard to write their posts, turning off word verification is easy. However the new dashboard does NOT offer the option of turning off word verification and to do so involves going back to the old one temporarily. Before very long, whether we like it or not, Google will be switching us all over permanently to the new dashboard, and unless they add the option to control word verification, it will no longer be possible to turn word verification on and off. This means that if you want to be able to switch off word verification in order to make it easier for people to comment, you shouldn’t leave it too long to do so, or you may lose the option. If, like me, you still use the old dashboard (and in my case I will only use the new one when finally forced to do so) all you have to do is to click on the Settings tab, choose Comments and scroll down to Show word verification for comments. Click on No, save your settings and word verification will disappear. You will almost certainly start to get a bit of spam after this, but Blogger’s spam filter is very good and since I turned off word verification a few weeks ago, no spam has made it onto my blog. If you have changed to the new dashboard, but haven’t made it your default, you can get back to the old dashboard by clicking on the cogwheel in the top right-hand corner and choosing Old Blogger interface. If you have made it your default you will have to untick Make Blogger draft my default before you can choose to go back to the old dashboard and follow the instructions for switching off. A giggle of bloggers - or doesn’t time fly when you’re having fun? Only two months later, I had to acknowledge that I was hopelessly hooked on this extraordinarily enjoyable and fulfilling activity called blogging, and nothing has happened since then to change my opinion. Oh, there have been times of deep frustration at Blogger’s inadequacies and my own lack of technical know-how, but these pale into insignificance when set next to the ways in which my life has been enriched. Blogging has brought me so much pleasure and satisfaction since that first tentative post last February and I don't grudge a minute of the time I spend on it. First and foremost I love the glimpses of other lives, countries and cultures that I get from reading blogs written by people living all over the world, and I find the interaction with everyone who comments on my blog, or on whose blogs I comment, deeply enjoyable and satisfying. Blogging is a community activity, a reciprocal sharing of insights and experience, which is immensely rich and fulfilling. I love the knowledge that by writing my blog I’m capturing memories of my own life which will still be there for others to read long after I’m gone. Some people write memoirs. I write my blog and I’m trying hard to make it a legacy worth leaving behind me one day. I also love the fact that blogging is creative and forces me to think hard and use my intellect and language skills to say what I want to say as well as possible, as well as using my aesthetic sense to choose the best images to illustrate it. I even enjoy the technical challenge of learning to use the blogging software properly, the only computer thing I've mastered without help from anyone, even my very tech-savvy DH. 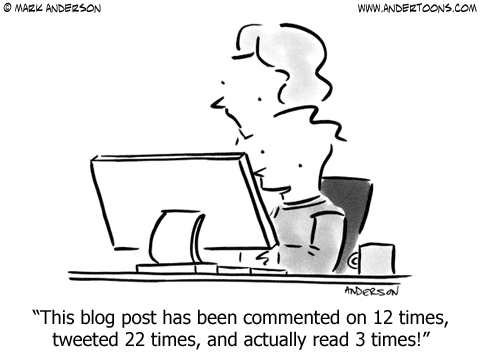 Blogging in this sense is a very active thing to do, compared to the passivity of watching TV or listening to the radio. In fact I can barely sit still in front of the TV nowadays unless I have some knitting to do - which is why I've already started yet another pair of socks for DH. I know that I will blog less when the weather is good, as happened last summer in France, or when other activities are on offer, as happens in Scotland. But on a cold winter's day on top of a remote Welsh hillside, there are few more enjoyable things to do than blogging. So my heartfelt thanks to you all for reading and commenting on my blog over the past year and for sharing your thoughts and lives so generously with me in your own blogs. Here’s to the next year of this very worthwhile journey. For a couple of days I've had the beginnings of a post simmering away in the back of my mind, but it simply won’t come to the boil. Therefore, having just waved DH goodbye until Monday evening, I’m going to go away and get on with an annual activity I both dread and rather enjoy, until the next post is ready. You’ll find out what I’m up to if you go back and read my second post, written this time last year. If only I could snap my fingers and have it all happen as easily as this! On the wall at the top of our staircase in Wales hangs a framed poster, a gift from my next-to-youngest sister. When she spotted it in a shop, she immediately thought of me and my enduring love for the film it advertises – the immortal West Side Story. I first saw the film itself 47 years ago this month, when I was 18 and had not long left school. I was working for a couple of months in a rather run-down café near the local bus station, earning the money for my fare to Hamburg, where I was about to spend 3 months improving my spoken German by working in what was then known as an old-people’s home. On one side of the bus station stood one of the town’s remaining 3 cinemas, the Palladium, and one day I noticed it was showing the musical about which I had heard so much, but which I had never managed to see. The following Saturday I went to the afternoon show and nearly 3 hours later left the cinema not quite the same person. As I came out onto the pavement it seemed as though everything was the same, yet not the same, as though I was seeing it all through different eyes. It was my first experience of the transformative power of film and I’ve never forgotten how it felt. Being such a wide and voracious reader I already knew that books could change the way one looks at the world, but film had always seemed too slight and ephemeral to have the same effect. That was probably due to the kind of films a teenager normally went to see in those days, but it meant that I simply wasn’t prepared for the effect this particular film had on me. 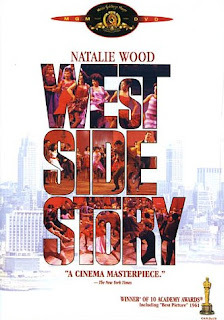 The combination of music and dance, of drama, pathos and (sometimes savage) humour totally enthralled me and it is still one of my very favourite films. Add to that the way it deals with some really big and difficult subjects such as immigration and discrimination, poverty and gang warfare and the fact that it was filmed on location among the crumbling slums of New York's West Side, just before they were demolished, and you may begin to understand its hold on me. I’ve seen it several times since that first viewing - in German with my penfriend in Hamburg, in French when I spent some weeks working as an au pair in Bourges and more than once again in English. Each time it has worked its magic and I probably know all the songs off by heart. In case you don’t, here are two which highlight the differences in background and experience between the two groups of young people who clash so tragically in this modern reinterpretation of Romeo and Juliet. 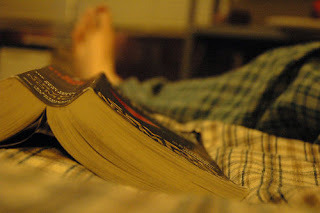 Looking back through my posts recently, I was amazed to see that it’s over six months since I last wrote about books. For this particular ex-librarian and lifelong bookworm this is so long a gap that you might be forgiven for thinking that I had completely stopped reading books in favour of blogs. I will admit that my book-reading time is somewhat eaten into by blogs nowadays, but thankfully I possess neither a laptop nor an iPad, so that in bed, at least, books are my sole source of reading matter. This morning, while drinking the tea which always starts my day, I finished the last tense pages of a really excellent crime novel by a author I first discovered last year. No Escape is the second novel by Natasha Cooper that I have read, but it won’t be the last. Well characterised and expertly plotted, it gripped me from the first page to the last. That book will go back to the library tomorrow, but I still have a substantial pile of others on my bedside table. Being nothing if not eclectic in my reading tastes, the next book in the pile is a non-fiction book, published by the National Museum of Wales. 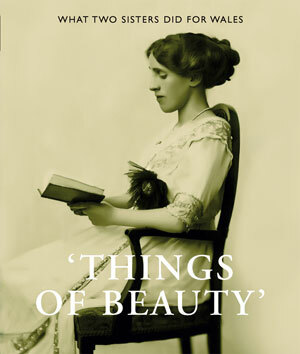 Things Of Beauty: what two sisters did for Wales is a fascinatingly illustrated study of the Davies sisters, Margaret and Gwendoline, who used the enormous wealth inherited from their Victorian industrialist father, to build up a wonderful collection of Impressionist and other paintings, which they bequeathed to the National Museum of Wales. My interest in them is not simply artistic, but comes from the fact that they were local people, born in the village of which I was once vicar, as was their remarkable father, who worked his way out of deep poverty to become one of Wales’ richest and most influential men. It would be difficult to live in Mid-Wales and not be intrigued by the Davies family and their achievements. 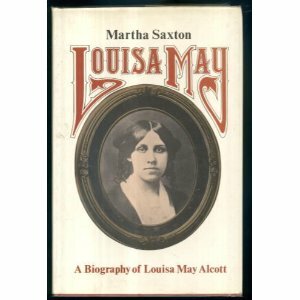 Below this in the pile is Louisa May, a biography by Martha Saxton of the 19th century American author, Louisa May Alcott. I was inspired to request this from the library by posts on Lifeonthecutoff's Blog about her life and work. As a girl I read and reread her most famous novel Little Women until my copy almost disintegrated, and having an enduring affection for children's literature, I still return to it and her other novels from time to time. One of the things I only recently learned about Louisa May Alcott is that, like her heroine Jo in Little Women, in the 1860’s she published a series of sensational Gothic thrillers under a pseudonym in order to make the money for which the Alcott family always had dire need. These were rediscovered and republished in two collections in the 1970s and thanks to our library’s capacious store, one of these collections, entitled Plots & Counterplots, is also in my pile of bedtime reading. Finally, as one of those books one can dip in and out of when too tired to read a continuous narrative, I have All Wound Up, the latest collection of very funny and perceptive essays on knitting and life, written by Stephanie Pearl-McPhee, the inimitable Yarn Harlot. Sixty years ago today I was 5 years old (well, 5 ¾ actually) and confined to bed, as I gradually recovered from a bad attack of measles. I can still vividly remember that February day when my grandmother, who lived next-door, came into the bedroom to tell me that it had just been announced on the radio that the King had died in the night. An unusual thing to tell a five-year-old, perhaps, but she was genuinely upset and it is my first memory of any event beyond our small family circle. 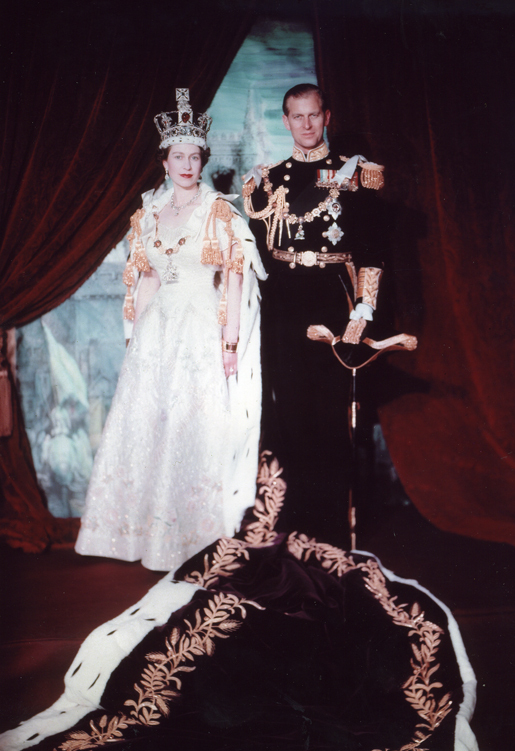 Fast forward 16 months, to the cold and damp June day of the new Queen’s coronation. This is another indelible memory for me, as it marks my first experience of television. All over Britain people stretched their budgets to buy a set in order to be able to watch this rare event. Among them was a family who lived just up the hill from our cottage. They were the only people we knew who had television and they kindly invited all the children from our cluster of houses to gather round the tiny black and white screen to watch the pageantry unfold. 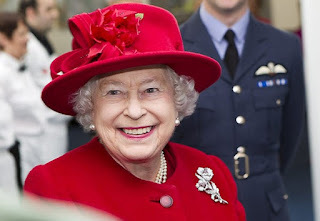 My third childhood memory of the Queen can’t be dated exactly, but I can’t have been more than 8. By then we had moved out of the town where I was born and lived in a small village on the western fringe of the Pennines. 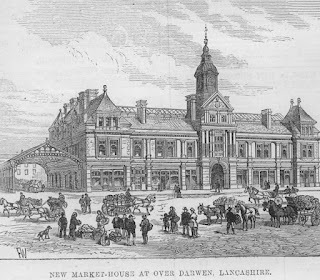 One morning my parents took my younger sisters and me into town on the early bus and we stood for what seemed like hours in the town centre, overlooking the market place and Town Hall, waiting to see the young Queen, who was visiting our part of Lancashire that day. I remember the cavalcade of cars coming down the road from the station amid a forest of waving arms, and then having a tiny figure in a pale coat, on a distant stage outside the Town Hall, pointed out to me as the Queen. 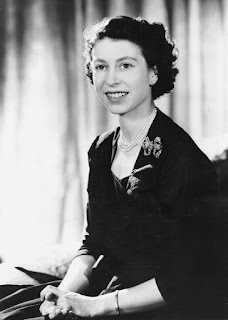 From those childhood memories onward, an awareness of the Queen as our hard-working head of state has been the background to my entire life. So today is, for me at least, not a day to debate the merits of monarchy versus presidency as a system for providing a head of state, nor is it a day to dwell on the inevitable failings of any one individual or family. Rather it is a day to acknowledge with gratitude a lifetime of dedicated service by one woman to her country and its people, and to say that today, as every day, I am glad and proud to be British. Life has pottered along gently this week, with Sunday’s snow still lying largely unmelted and our lane now very icy. Today the sun is shining brightly and making the ice crystals on the snow glisten like left-over Christmas glitter. The weekend is almost here, but with the possibility of more snow forecast for tomorrow, we won’t be going anywhere, preferring to hibernate quietly for the time being. DH is busy working on a project for one of his clients (no lazy retirement for him!) 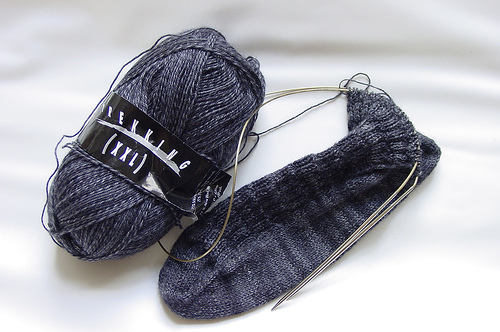 and I’m planning to finish the first sock in his new pair and cast on the second. I usually knit while watching TV, but it mustn’t be anything too demanding, otherwise I will drop stitches (annoying with such fine fabric) or make even worse mistakes which may entail pulling back my work. L I’m not like DD, able to do the most complex and beautiful knitting while reading or watching TV. No knitting racehorse here, but instead a plodding donkey, who enjoys her work, but mustn't let herself get distracted. So when a favourite film comes on TV and I settle down to do a few more inches of DH’s latest sock, I know that when certain scenes come along, the only safe thing to do is to put down my knitting and enjoy them to the full. One such favourite film I watched recently for the umpteenth time is the wonderful classic musical “Singin’ in the Rain”. I knitted happily along to most of it, but the knitting definitely stopped for what I think is one of the best comic performances I have ever seen. I hope you enjoy it too.